Hello everyone. I just signed up to this forum because it's been very helpful lately and now since my 16 year old has a 3rd Gen IROC Z there's always things to fix and talk about. So I bought this car and am trying to figure out why the heater fan will not go on maximum. 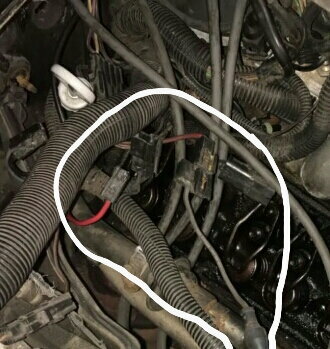 I read the previous articles and found the burnt connection by the firewall with the 2 red wires.but every picture I look at only shows me 1 red wire connected to another red wire.I have another gray wire that is connected at the plug of the red wire then it runs down the fender and grounds then the other wire goes down to where the battery is and unfortunately the wires were cut.and that's where I'm at.I have pics attached and hopefully someone can shed some light on this for me. Last edited by BaldwinWS6; 01-08-2019 at 12:54 PM. Last edited by BaldwinWS6; 01-26-2019 at 07:55 PM. Wires, wires, wires....test your knowledge! !